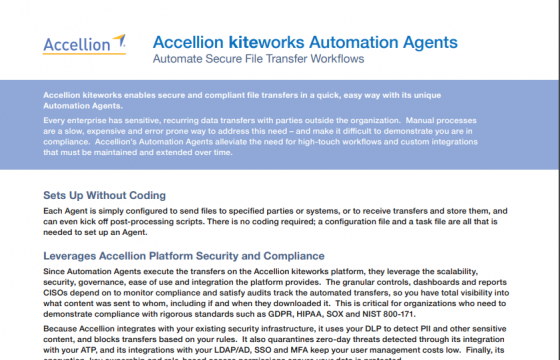 Empower customer support and sales teams with Accellion’s secure Salesforce file sharing plugin. 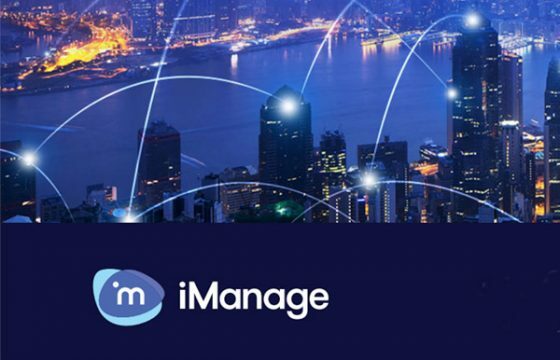 Enable reps to simply and efficiently exchange large, sensitive files with their customers—without leaving their Salesforce workflow. 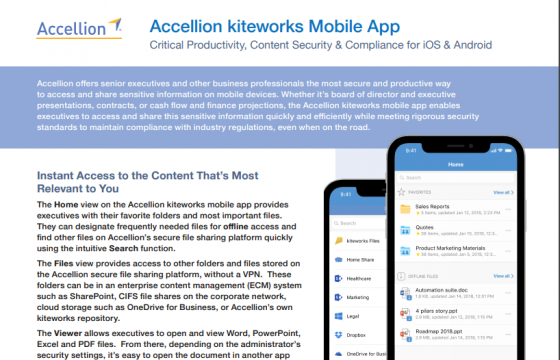 See why more and more customers are upgrading to Accellion’s kiteworks platform to add a critical layer of security and compliance over the people and systems that share sensitive information. 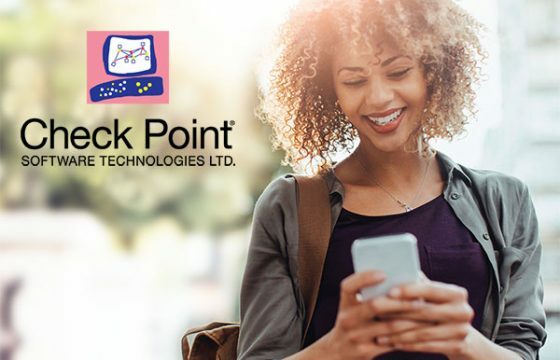 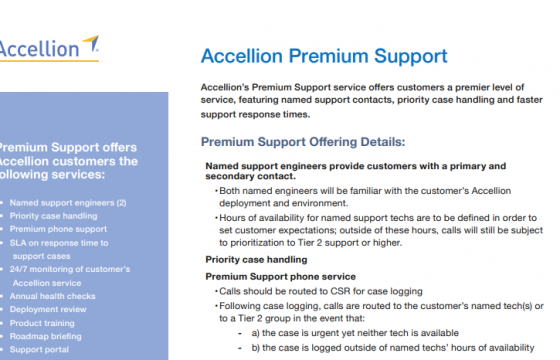 The Accellion Premium Support service offers a premier level of service, featuring named support contacts, priority case handling and faster support response times. 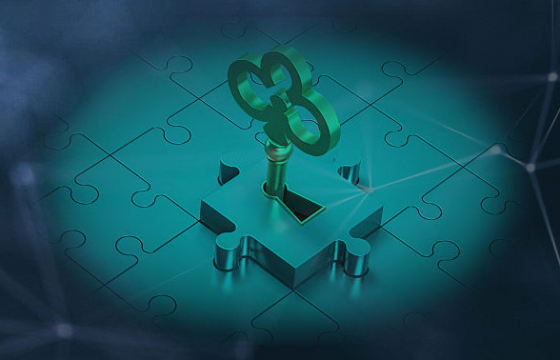 Accellion’s Automation Agents enable recurring transfers of sensitive data to alleviate the need for high-touch workflows and custom integrations that must be maintained and extended over time.